Im a firm believer that by making a creative corner/nook in your home to work or blog or craft is essential for harnessing your focus and helping with your productivity. Being in between homes at the minute has meant creating such a space has been slightly disruptive and difficult but it is possible. 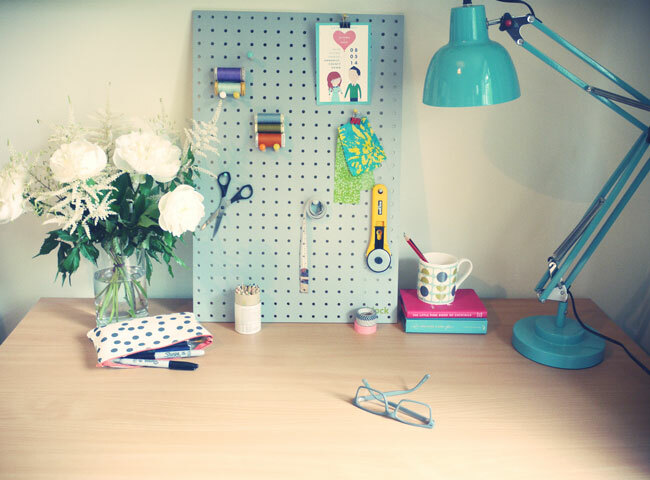 I wanted to share my tips on creating a home office space no matter how small. Location: Work out where in your home works best in terms of what space is available and where you feel works best for your needs. Do you need lots of natural daylight by a window. Do you need to be near a plug outlet for a printer/computer/sewing machine. The empty space under your stairs, the alcove in your living room or a corner in your spare bedroom can all make a perfect office space. 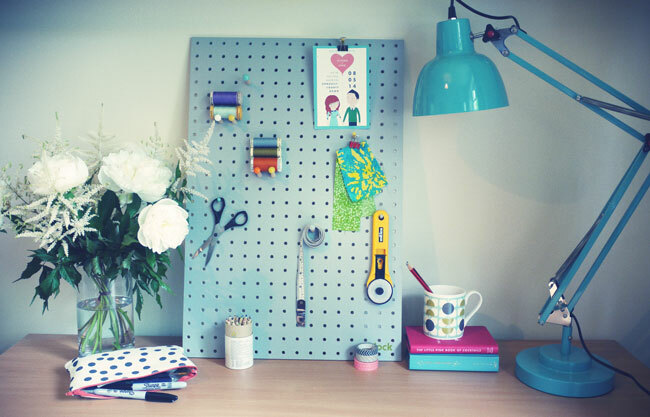 Creating Storage & Space: With space being an issue in most home offices make the most of your corner my creating storage above and below your desk. Floating shelves on the wall can store books, cameras, paint supplies which can also help inspire you. Below desk storage such as a set of small drawers can hide unwanted clutter. Functional & Fun: It is important that your home office is somewhere you want to sit and work & not somewhere that fills you with dread! 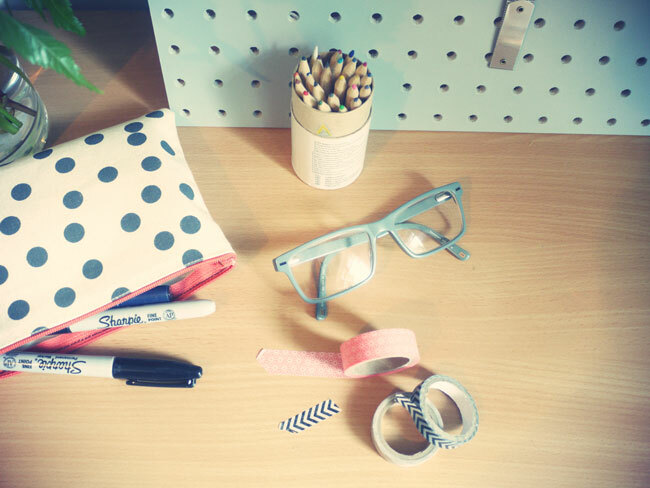 Make your office fun with injections of colour and pretty decor. This could be in the form of a colourful lamp, a nice mug to hold all your pencils and pens or a vase of flowers. 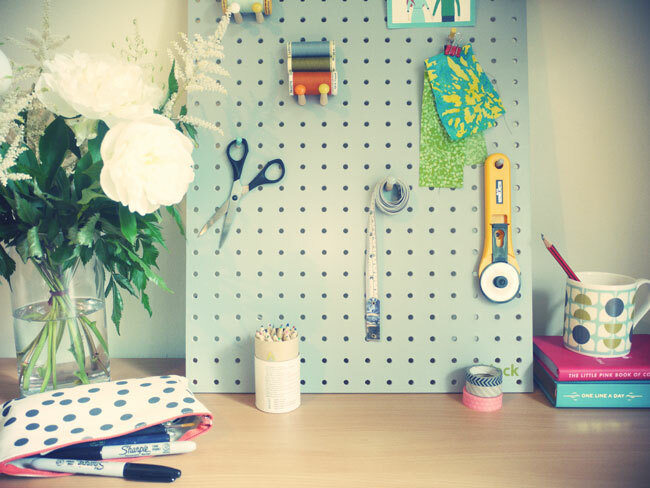 Focus: Having something to focus on is always helpful at home where there are plenty of distractions, pin inspirational quotes to a pegboard or washi tape them to the wall in front of your desk to help you stay positive and on track! 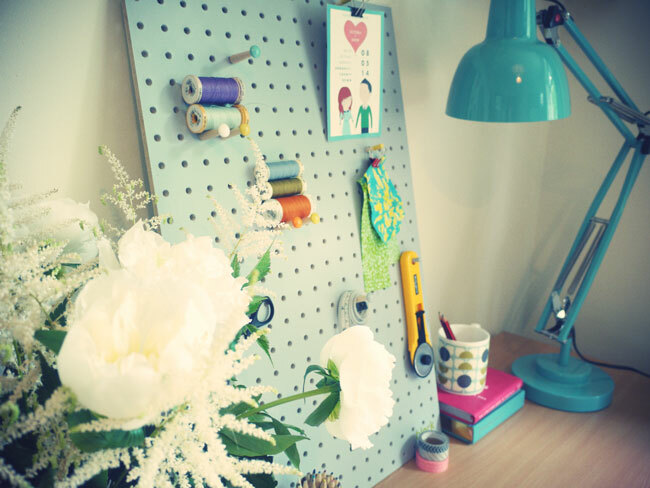 On my desk: Lamp: B&Q, Pegboard c/o Red Candy, Books: Cocktail Guide & One line a day diary, Mug c/o Flamingo Gifts, Washi Tape: Paperchase, Postcard: Our wedding save the date, Pencil Case: Etsy, Flowers are Peonies & Astilbe. Lovely advice. I love your lamp! It's very clean, wow! My office desk is such a mess, full of notebooks, books, photo cameras and so! it's really good to have a clean space.